Joe Dorsetti was often accompanied to ring by his wife who also wore Gypsy Garb. 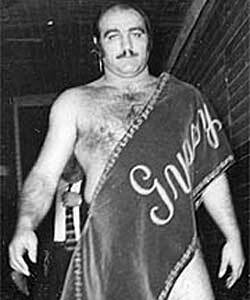 1960s: Gypsy Joe was a mainstay in Boston’s Big Time Wrestling and was a trainer at Santo’s Wrestling School. Gypsy Joe and Jesse James feuded throughout the New England and Florida territories. Gypsy Joe was also a very popular florist in his hometown of Chelsea, Massachusetts.